Does your family eat quietly at the dinner table? Or does every one chatter and talk about their day or their dreams? This is a craft we put together in one of our MOPS meetings. 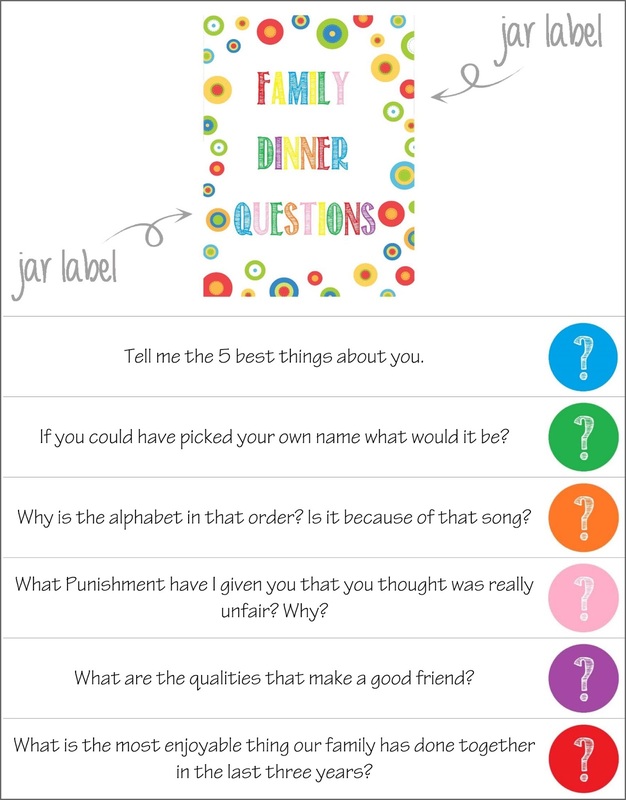 If you're looking for a way to engage your family in conversations, but don't know where to start, this is a great way! It's a jar of questions that encourage family talk! Each night, at dinner time, you pull out one question and read it to the family. Give everyone a chance to answer it and then you can discuss the answers. Some are silly and some are serious. Get to know each other better and create memories with your loved ones. I have typed up 126 questions and left 12 strips empty for you to write in your own questions. 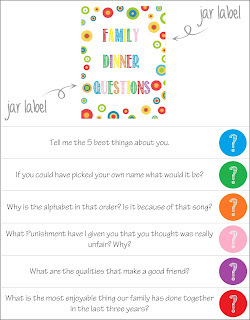 Print out the question, cut out the jar label and paste it to a quart jar. 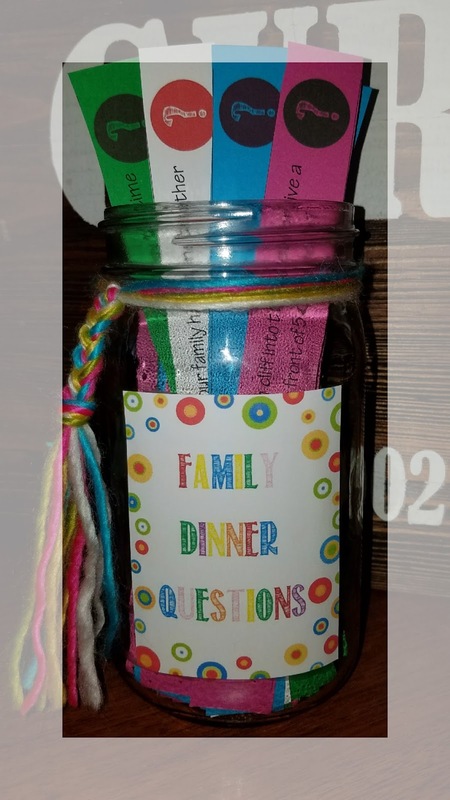 Cut up the strips of questions and put in the jar. You can also decorate the jar with twine, yarn, or ribbons. Keep it on your table for fun and meaningful dinner conversations! I would love to see your finished jars! Please email me your pics, I'd love to add them to this post!